Our faith needs to be tended to and nurtured, just like a plant or garden. And it’s okay to start small, like a mustard seed. 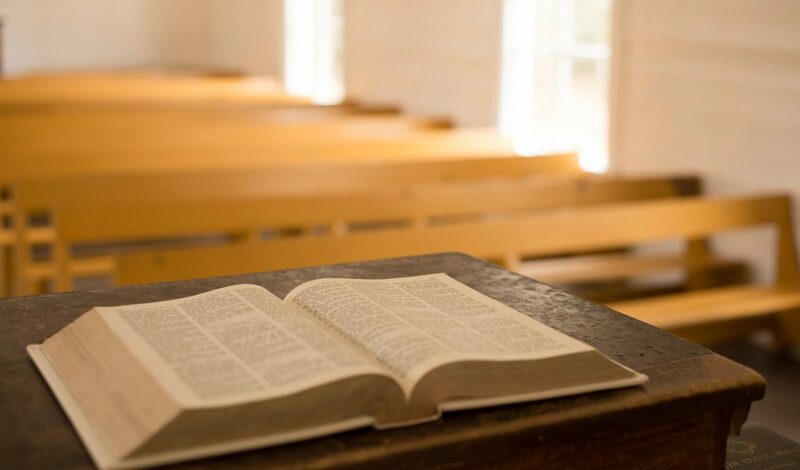 Some ways we can nurture our faith include: attending Bible studies; reading the Bible or devotionals at home; gathering around the dinner table with our family and talking about where you saw God in your day; or talking about your faith with friends and being honest about what questions or doubts you have? Together, we can explore our faith and ask those tough questions, read about the people and events in the Bible and talk about how our faith intersects with our busy lives. 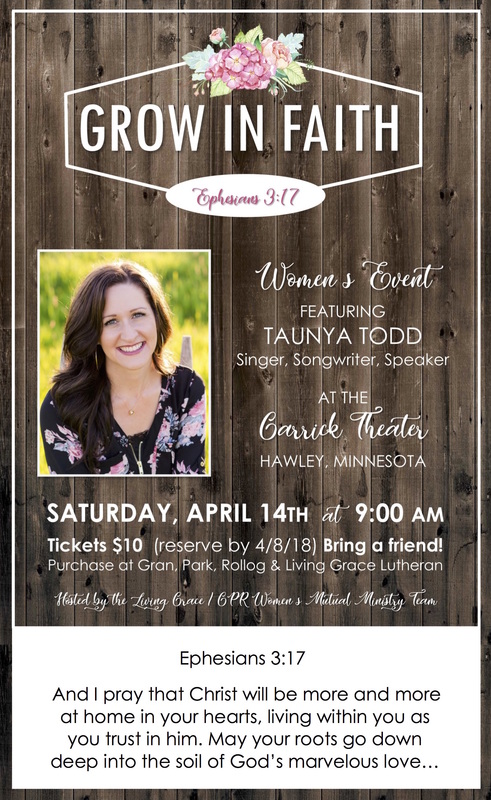 I’d like to invite all women to join me and the Women’s Mutual Ministry team (Joy Bang, Tina Lien, Heather Strawsell, Nancy Spillum, Melissa Mickelson, and Judy Shulstad) on Saturday, April 14th from 9-11 a.m. at the Garrick Theater in Hawley. I think this will be a great event providing an opportunity for personal growth. For two hours we can take care of ourselves and be fed and nurtured spiritually. And as four congregations we are growing in our own ministry within our churches and within the community, reaching out to other women who may not have a place to grow their faith and spirituality.